Definitive guide on building a sales process that accelerates growth. As sales continues to advance and consumer behavior further changes, it’s guaranteed that your outdated, inefficient sales process will hinder growth instead of harness it. Not only that, it also keeps the revolving door of turnover spinning, making it crucial that you understand the importance of a sales process in door to door sales. There’s new engagement channels popping up left and right. Ignoring the constant evolution of development to remain in the Stone Age means you’ll relinquish your once dominant market share to competitors. 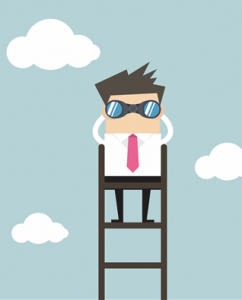 Can you really afford to remain on the sidelines as the competition passes you by? Could Mike Tyson really afford to buy another Siberian tiger and blow money as aggressively as the types of punches he threw that once characterized his early round knockouts? Each step of the process needs to be focused on consumer values in order to help your team increase sales velocity and revenue, as well as retain more customers. The series of steps are a systematic approach to create a repeatable procedure that eliminates random, uncertain results. Very simply put, your sales process is the model that any salesperson can use to successfully find prospects, solve consumer-related issues and close deals. Sales Methodology is an element in the sales process that refers to the framework, philosophy, or general tactic that guides how a salesperson approaches each step within the process. Where as Sales Process is a systematic approach involving a series of steps that enables a sales force to close more deals, increase margins and make more sales through referrals. Some organizations, depending on their market, verticals, operational model and other factors, choose to adopt a single methodology to reign supreme for your entire sales process. The chosen methodology essentially governs the process. Others opt to apply multiple methodologies to the sales process. Each methodology utilized correlates specifically to a step, or steps, of the sales process. This is based on your company’s thought process, or model of determining the effective selling strategies and techniques for each step within the sales process. A sales process falling short of possessing any one of these characteristics is highly likely to perform at a disadvantage in a densely competitive industry. Focus on incorporating each component into every stage of your process as it’s built. Building your sales process can be complicated because there’s so many variables in play. The first challenge typically arising involves identifying each step that comprises sales operations. The number of steps will differ across sectors. It will even vary among businesses that operate in the same space. 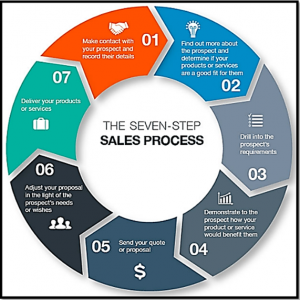 The 7-stage sales process is used by many organizations and serves as a starting point to complete this task. It will allow you to make adjustments as needed while providing clarity and flexibility. It’s essential to understand the complete scope of your product, including your ideal customer profile, industry, unique value prop and competitive advantage. The importance of this can’t be stressed enough. Whether you’re building a sales process for the first time or rebuilding your current one, you need treat this like it’s the first time. Research competitors in your market, the most common problems experienced by your ideal customers, and the product / service benefits directly or indirectly addressing these problems. A competitive analysis is defined by Entrepreneur as “identifying your competitors and evaluating their strategies to determine their strengths and weaknesses relative to those of your own product or service.” This evaluation helps recognize and uncover unique components of your product or service that should be used as a powerful tool to attract prospects. HubSpot defines prospecting as “the process of searching for potential customers, clients, or buyers in order to develop new business, with the end goal being to move prospects through the lead funnel until they eventually convert into revenue-generating customers. The problem: Finding people to buy is one thing – engaging them is another. Before we get too much further, let’s go over the difference between a lead and a prospect. Leads: Potential customers who’ve expressed interest in your company through specific behaviors like visiting your website, subscribing to a blog, or downloading an eBook. Prospects: Leads turn into prospects if they’re qualified as potential customers. In other words, they align with your ideal customer profile. Prospects can also be classified as potential customers who have limited to no interaction with your company, but they wouldn’t be considered a lead. Regardless of whether a potential customer is a lead or a prospect, the end goal remains the same: Nurture these individuals until they purchase your product or service. Prospecting utilizes a variety of different sources to search for quality prospects. Most salespeople search through their company’s CRM database, social media outlets, industry events like tradeshows, and online searches. In order for sales reps to prospect effectively, you need to clearly define your ideal customer profile. As sales reps begin finding prospects, they need to be evaluated and screened based on the profile you’ve developed. This helps your team reduce prospecting time and focuses their efforts on finding qualified, high-value targets. To develop a healthy pipeline, prospecting should be an “always-on” task. A needs assessment is simply a systematic approach to asking questions, comparing answers, and making informed decisions about what to do next to improve organizational performance. 1. How do you see your business growing in the next 4 – 12 months? What, if anything, is inhibiting growth? What are your goals for business growth in the next 3 months or the next year? 2. What are your sales goals for the next quarter? 3. What are the key challenges you face when it comes to closing deals? 4. Are you doing anything to drive awareness: social media, emails, cold calls, etc.? 5. Who is your target audience? Your ideal customer? 6. Based on the prospects answers to the questions you asked during the assessment, you can better align your solution to their pain points. Anytime a member of your sales team is talking with a prospect for the first time, whether it’s in person, over the phone or through digital tools, this provides an incredible opportunity to dive deeper into their current situation. The goal is to determine what their real needs are and whether or not it’s a good fit. During this step of the sales process is when reps are able to create a custom tailored solution for the customer that will increase the likelihood of closing the deal. Sales reps need to utilize their selling skills, like active listening, body language, empathy, and tonality. 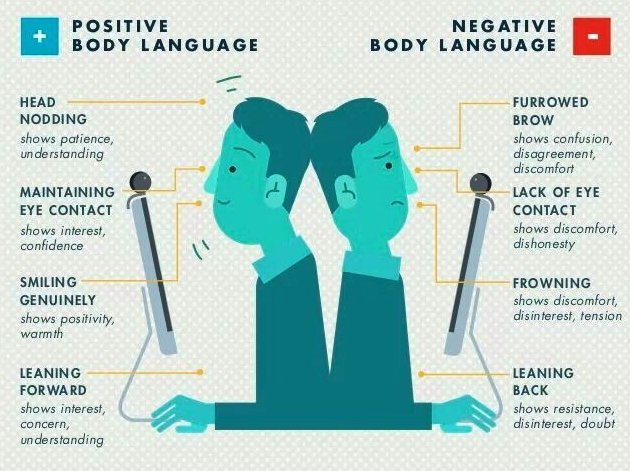 Sales professionals need to be aware that 93% of a person’s judgment of them will be a result of non-verbal inputs like body language. Their skills become critically important during this stage because of how much is determined through things other than the words they actually speak. To break this down further, 55% of a salesperson’s communication effectiveness comes from their body language, and 38% comes from their tone of voice during the conversation. This leaves just 7% of communication effectiveness coming from the words that are actually spoken. The pitch is the component of the sales process where a canvasser or sales rep articulates the unique value of your product or service to the customer. Your unique value prop is what the customer will experience as a result of purchasing your solution. It’s what sets your company apart from all competitors on the market. To present this information, connect a prospect’s real needs and desires to the benefits provided by your product or service. In order to get to this stage, you need to know the secret behind getting invited inside the potential customer’s home. If you haven’t established trust and credibility, it’s going to be evident when trying to give your pitch. The reason you want to get invited inside is because the home is a “comfort space” for the buyer. This helps them to let their guard down and share information more freely. If someone on your team is struggling in this area, work with them on how they’re setting the hook at the door. It’s worth pointing out that while preparation and product knowledge play an important role, your focus needs to be customer-centric. Remain relevant in the prospect’s mind by bridging them to the product. Take a look at these sales pitch examples that have proven success. 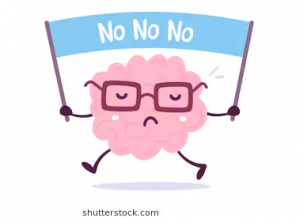 complaints and outright rejection are so common in sales that any rep lacking grit and perseverance will soon be off the pavement. I’m not ready to make a decision yet. To overcome objections effectively, practice empathy and routinely place yourself in the situation from the customer’s point of view. When responding, utilize sales psychologies like the six principles of persuasion. Closing, the step every salesperson hangs their hat on, where all of your efforts are reflected in your company’s top-line revenue. Depending on the type of door to door selling you’re doing, this often involves sending a proposal outlining the tailored solution being offered. It could also include further negotiations pertaining to specific terms in the agreement. Another common occurrence is needing signatures from all decision makers in the household. Obviously, this task won’t always prove fruitful. If a sales rep fails to obtain the required signatures, you need to establish a follow up plan. This is one of the largest screw-ups by salespeople. 48% of sales reps will never even make a single follow up attempt, despite the fact that 80% of sales require a minimum of 5 follow-up attempts. Paying customers are extremely valuable to your business. They represent great candidates to up-sell and cross-sell to, and generate repeat business more easily. HBR found that loyal customers are worth 10 times more than their first purchase, and 50% easier to sell compared to new customers. In order to generate additional revenue from these high-value targets, you need to maintain a superb customer relationship. These people should be nurtured and informed about new information pertaining to your company. The one “absolute must-do” is to ask for referrals. Referrals are the highest converting, cheapest lead source. 91% of customers are willing to provide a referral, yet only 11% of salespeople actually ask for one. You’re wasting opportunities and losing revenue by not requiring your sales team to ask for referrals. A well-designed sales process map is required when organizing your sales process and the sales methodology, or methodologies, you need to adopt. Whether you’re old school using pen and paper or trendy with a mobile app, the first step is to list the stages and customer touchpoints in your workflow and connect these with key steps in your sales process. An example would be lead generation and qualification. As you list out each touchpoint, assign it to one of the seven steps. If you need to create more than seven steps, you can combine steps that are similar or repetitive later. As you complete this assignment, take note of any relevant metrics (duration, transaction volume, number of new leads generated, etc.). Be sure to note the 5 must-know door to door sales metrics; these are especially important. Fill each step of the sales process with all associated activities (doors knocked or attempts, contact rate, follow up emails, etc.) until all stages are complete. Remember: Your sales process map will evolve over time and it’s critical to modify your process to remain ahead of shifting business realities. Don’t expect to get very far if you haven’t upgraded the sales platform your team used 20 years ago, no matter how well-designed your sales process is. Technology is rapidly advancing on many fronts, including everything from CRM to big data, cloud and AI. An extremely important component of your sales process is the tools your team utilizes on a daily basis. your team needs, you’re just making their job more difficult, decreasing their productivity and efficiency, and reducing your profitability. Lead Machine. Sales team and individual sales success depends on leads that are the most likely to turn into customers. Lead Machine-a convenient tool located within SPOTIO-is your one-stop-shop for identifying strong leads and managing sales and canvassing territories based on reliable, up-to-date data. Appointment Setting. There’s no need to use outside calendar or other apps to schedule appointments. SPOTIO’s calendar feature empowers users to create appointments right in the calendar tool for themselves and other team members. See busy and available times for anyone on your team and book appointments accordingly. Lead Management. The process and method of lead management is what drives the success of a sales team. Capturing specific details about each prospect quickly and efficiently, and then being able to use this data to increase productivity and sales is what you will accomplish with SPOTIO’s lead management software. Territory Management. SPOTIO saves field managers 1 to 3 hours per day by taking the place of printed maps, pens and highlighters. Managers can create and assign specific territories for each sales rep within the app, which saves countless hours of searching for the ideal area to work. With SPOTIO, sales reps will spend their time knocking doors exactly where sales managers want them. Customer Mapping. Customer mapping software enables the use of basic location data to create a visual representation of a desired territory. This saves valuable time and money so that you can introduce more customers to your product or service. Team Chat. Use SPOTIO’s InApp Chat feature to send motivational messages to encourage other team members, schedule a meeting or send a virtual “high five” to celebrate a new sale! Chatting keeps team members engaged while promoting positivity among your company. Sales Dashboard & Report Builder. Not every member of your team is exactly alike. SPOTIO’s dashboard provides real time insights that identify exactly where each individual team member needs assistance in your sales process. You will be able to spot train reps on the areas where they need the most assistance to be successful. Outside Sales Tracking. While it is impossible for you, the sales manager, to be everywhere at once, you can still accurately and efficiently track outside sales for optimum sales performance. Outside sales tracking should not monitor every movement sales reps make. Instead, track the activity of sales reps to provide better management, higher sales and make business decisions based on data. Sales Rep Accountability. SPOTIO enables powerful sales rep tracking to keep you in real-time with your sales team out in the field. Real-time knowledge backed with recorded data creates usable information to make immediate decisions to effectively manage your team. An August 2017 SalesTech Report found that the majority of the 400 C-level respondents rely on an average of 11 sales tools. Additionally, 80% of the top sales organizations in the world spend a minimum of $1,000 per sales rep annually to provide salespeople with technology designed to do their job more effectively. While this may seem like a large sum of coin to fork over for technology, companies are more than willing to make the investment because the ROI significantly outweighs the upfront cost. The trend is evident as 49% of respondents in the same survey reported spending $2,000 or more per sales rep annually on technology tools. If you’re still relying on self-reported metrics, and canvassers and sales reps are still using lead sheets, this is a tell-tale sign your company needs a sales tracking software. Industry leader consistently demonstrate that technology enablers dramatically amplify the impact your sales process and methodologies can deliver. I know it can be overwhelming to try and determine what the best tools are, but don’t worry. Here’s a guided overview on a wide variety of tools you should consider implementing into your sales stack. To audit the process, analyze your metrics and “A/B test” campaigns to compare different outcomes. Look at the underperforming components and try testing whether a new methodology would work better for a specific activity in your pipeline than the one currently implemented. Remember: Metrics are your friend and staying in their good graces future-proofs your profitability.